DeKalb County has placed online a variety of property tax information at DeKalbCounty.org. Among the reports are breakdowns of Equalized Assessment Value (EAV) by type of zoning, which include farm, residential, commercial, industrial, and railroad properties. In City of DeKalb, the two top property tax-producing categories are residential and commercial. You can see below that residential and commercial losses in EAV have driven an overall steady decline since the Great Recession, until last year when commercial property saw a slight rebound (residential again lost a little value). I also checked EAV in the tax increment financing (TIF) districts, because there is no more important sign of success for a TIF district than increased EAV. TIF EAV has fallen worse than DeKalb’s overall, and (though not explicitly shown in the chart) has gone from a share of 15% of total city EAV to 11% during the time period we’re looking at. Considering that both TIFs are set to expire in the next couple years, this poor performance should prompt us to question seriously DeKalb’s judgment in selecting redevelopment projects. People have been asking me why their city property taxes went up sharply this year. While much of it has to do with your assessment, of course, here’s the rest of the story. Former DeKalb Alderman Pam Verbic wrote current Mayor Rey a detailed letter regarding the upcoming property tax levy vote. Find it here. I hope you will read the whole thing. Each of Ms. Verbic’s points is well taken and stands on its own. I don’t intend to rehash the letter. But her #4 relates closely to views I’ve shared for two-years-plus about the hiring spree and its impacts on city budgets, and it furthermore reminds me to look at the morality of the situation as well as the practical. 4. 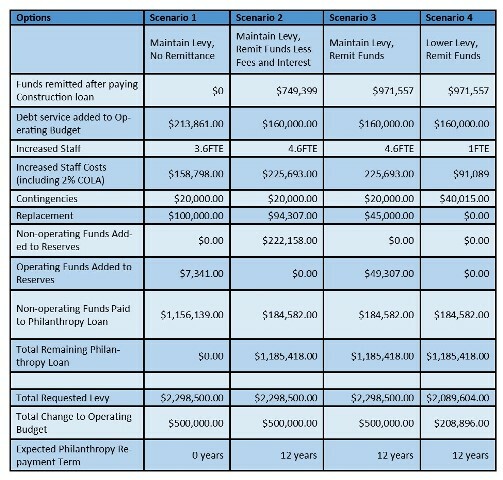 Since I was a council member in 2011, I know what it means to have to lay off employees to contain costs. At that time, the number of employees were reduced by 29 from 231 to 202. No positions were eliminated in police or fire. There would be no immediate savings due to the costs of separation, so savings were to be realized on a long-term basis. This did not happen because later councils approved adding new employees, including several higher paid management positions. Last year’s staff memo concerning the tax levy reported that the number of employees had then increased back to 224. The layoffs followed several years in which the city took a number of measures to try to regain control of its finances. City officials talked layoffs as early as the latter half of 2007, which prompted early retirements. They froze hiring. They forced expense cuts. They raised taxes and fees. They delayed purchases of big-ticket items like vehicles. If I remember correctly, they even froze pay for a year. These actions were not enough, and an across-the-board pay cut was rejected, so layoffs became the last resort to achieve a reset of compensation to match the new revenue reality. But it needed time to work, and DeKalb only waited one year before starting the hiring spree. We often focus on the tax burden in a town that sees little prosperity, and of course that is vitally important to consider. However, job loss involves pain, and the recent lack of restraint in hiring has all but rendered meaningless the sacrifice of city workers for what was supposed to be the greater good. It’s shameful. But in my opinion, it’s an error that could still be reversed.